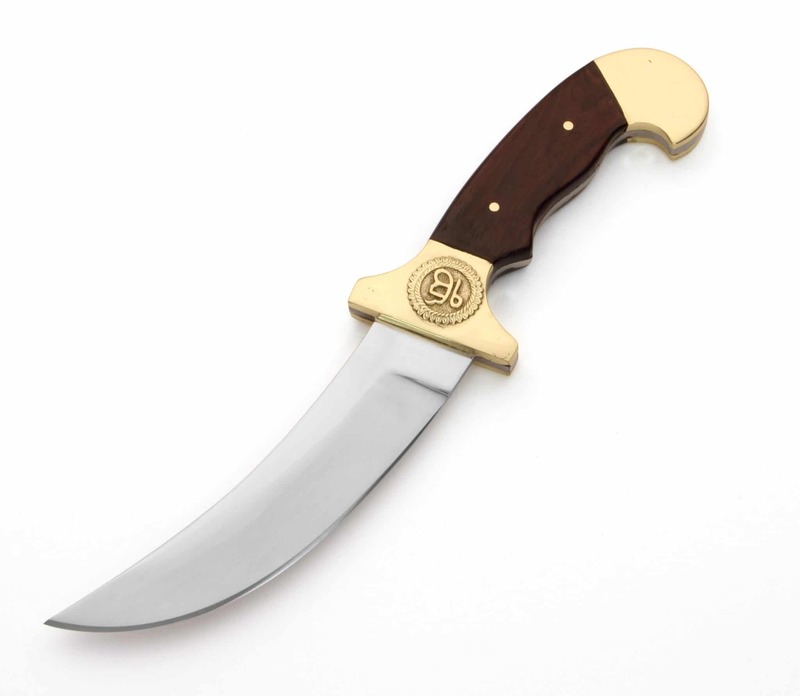 A Kirpan is a traditional Sikh knife carried as part of a religious commandment. Guru Gobind Singh stated in 1699 that Sikhs should always wear five articles of faith, the Kirpan being one. Sikhs are to be Saint Soldiiers that embody mercy, grace, compassion and honour. Made from hand forged 1065 high carbon steel with full profile tang. Impressive high quality brass and hand finished scales. Blade 15cm. Overall length 28cm.